FindBugs (as a project) is dead, but development continues under a new name: SpotBugs. To get latest greatest SpotBugs plugin for Eclipse 4.6 and 4.7, please go to SpotBugs Eclipse plugin. This listing is still there for old Eclipse versions < 4.6. By adding the following code below to your website you will be able to add an install button for FindBugs Eclipse Plugin. The webpage nor update site are not accessible. "No repository found at ..."
Not sure which update site do you mean, but not, the plugin is not abandoned and the official update site is OK for me. It seems to have been a temporary issue with cs umd edu site - now everything's OK! (couldn't post url in comment). Tool to find out missing strings in eclipse RCP plugins for example a tool "lint" used in Android. Findbugs has become ubiquitous in Java shops. Not only is it is run on Java itself, it is used by small startups through large corporations. It's free and effective. It won't find every bug, but the bugs it finds are all real bugs. EVERY Java shop should be running Findbugs. Obviously some bugs can exist for years and never cause a problem. If Findbugs identifies thousands of issues, create a plan to identify the top priority defects. That is, the ones the cost the company the most money. 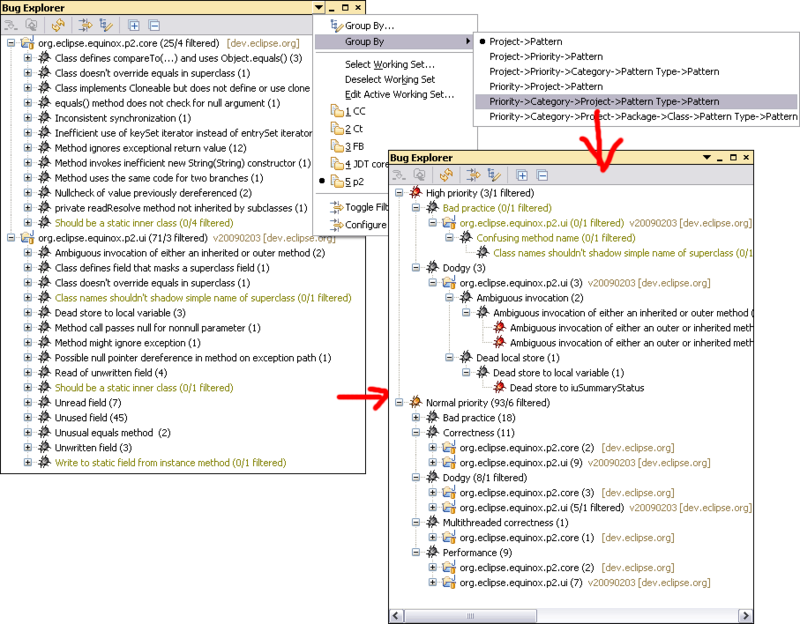 I cannot imagine to seriously develop Java software without FindBugs Eclipse plugin anymore. For those who knows Ant and Hudson: of course, they also have plugins for FindBugs, so that you can use same tool as in your IDE to analyze your software during automated tests.